US State Department, (Washington, DC, Oct. 13, 2012) — The State Department today released the text of the Joint Statement from the First Session of the United States – Kingdom of Morocco Strategic Dialogue meeting on September 13, 2012 in Washington, D.C.
U.S. Secretary of State Hillary Rodham Clinton was pleased to host the Minister of Foreign Affairs and Cooperation of the Kingdom of Morocco, Dr. Saad Dine El Otmani, and a distinguished delegation of senior Moroccan officials to Washington September 13, 2012, for the first Strategic Dialogue between the United States of America and the Kingdom of Morocco. Both sides recognized the continued desire to find opportunities to strengthen the already excellent and mutually beneficial relations between the two countries. The United States commended the important reforms and initiatives undertaken by His Majesty the King Mohammed VI, which preceded the creation of this Strategic Dialogue. The two countries signed on September 13, 2012, a Memorandum of Understanding (MOU) to express their common desire to seek opportunities to strengthen their bilateral relations in multiple areas within the framework of an effective, strategic, and mutually advantageous dialogue. The MOU spells out broadly defined spheres for cooperation, including political, security, economic, and education and cultural affairs. Through regular meetings of working groups, and at an annual high-level meeting held alternately in Rabat and Washington D.C., the Strategic Dialogue will offer Morocco and the United States opportunities to strengthen their cooperation and provide mechanisms to advance policies and programs throughout the region and elsewhere where both nations share common values, goals, and interests. On political issues, both governments intend to work together to realize the promise of Morocco’s new constitution. Both sides are committed to supporting the UN Human Rights system and also to deepening the ongoing bilateral dialogue on human rights and to set a date for the next Human Rights Dialogue before the end of the year. Both sides are committed to advancing women’s empowerment by increasing women’s access to political and economic opportunity, including implementation of the Moroccan government plan for equity 2012-2016, and by spreading and promoting public awareness and best practices across the country in the field of women’s rights, the Family Code, and the National Initiative for Human Development. Both sides determined to support Morocco’s judicial reform process. The United States continues to support efforts to find a peaceful, sustainable, mutually agreed-upon solution for the Western Sahara. U.S. policy toward the Western Sahara has remained consistent for many years. The United States has made clear that Morocco’s autonomy plan is serious, realistic, and credible, and that it represents a potential approach that could satisfy the aspirations of the people in the Western Sahara to run their own affairs in peace and dignity. We continue to support the negotiations carried out by the United Nations and urge the parties to work toward resolution. Both sides intend to work to strengthen regional ties – political, economic, and security – across North Africa, including through a reinvigorated Arab Maghreb Union. Both sides also plan to seek to promote mutual policy goals, including on Syria, Middle East Peace, and the advancement of human rights internationally. On economic issues, both sides are dedicated to working together as partners to promote human and economic development in the region. The United States and Morocco recognize that economic security and job creation are crucial to the success of political reforms in the region. Both sides decided to support Morocco’s efforts to strengthen the private sector and civil society and women’s participation in business, with the goal of delivering tangible economic benefits, strengthening the trade relationship, and increasing investment in Morocco. Both sides are committed to continuing to promote economic integration and cooperation using established fora. The United States plans to continue USAID programs that support Morocco’s business climate reform agenda, build institutional capacity, and expand markets. Both sides decided to schedule a meeting of the Free Trade Agreement Joint Committee before the end of the year. And, as announced by Secretary Clinton, both sides plan to work toward a date for a Morocco Business Development Conference to take place in Washington before the end of the year. The Business Development Conference can consider establishing subgroups to address a variety of issues discussed in the working group, such as enhancing regional integration, expanding trade, promoting investment, improving Morocco’s investment climate, strengthening the food security infrastructure and promoting energy development. On security issues, the United States and Morocco continue to share successful mechanisms for bilateral coordination, which the two countries should continue to deepen in the criminal justice, non-proliferation, and counter-terrorism sectors. We intend to continue to cooperate to bolster democratic criminal justice institutions and to counter the threat of violent extremism (CVE) in Morocco and in the region. Both sides decided that they would jointly determine the nature of CVE programming. Both sides decided that the United States should continue to implement training programs and to provide equipment relating to border and port security and customs controls. Both sides highlighted the importance and the challenges of expanding the bilateral cooperative relationship between the United States and Morocco into one that can augment security in the region and throughout the world. Both sides determined to continue close cooperation in the Global Counterterrorism Forum (GCTF). On education and cultural issues, both sides decided to explore further cooperation to promote mutual understanding and interfaith dialogue. Both sides intend to focus on cultural preservation, including a new grant from the U.S. Ambassador’s Fund for Cultural Preservation to renovate historically significant Islamic, Christian, and Jewish cemeteries in Morocco. This year commemorates the 30th anniversary of the bilateral Fulbright Commission, the Moroccan American Commission for Educational and Cultural Exchange. Both sides reiterated their commitment to enhance and diversify exchange programs, both through the commission and beyond. Both sides are committed to cooperating on scientific research, joint training for school and university management, and exchanges of students and professors. Both sides determined to work toward developing accreditation systems that would enable Moroccan universities to maintain high-quality education as the number of applicants increases. Both sides decided to support educational reform and to encourage public-private partnerships that invest in quality education. Both sides determined to expand the use of technology in education, including Open Education Resources, Massively Open Online Courses, and distance-learning technology that allow educators to share resources, receive training, and reach underserved populations. Both sides decided to support Morocco’s new national youth strategy, including cultural youth exchanges, building the capacity of new, youth-run non-governmental organizations, training for Morocco’s government-run youth centers, fostering youth collaboration through the arts, and empowering young women to take leadership roles in society, education, and business. Both sides also noted that, under the framework of the 1970 UNESCO Convention on the Means of Prohibiting and Preventing the Illicit Import, Transfer, and Ownership of Cultural Property, the United States is open to discussing a bilateral cultural property agreement to stem the flow of looted antiquities and cultural heritage artifacts, promote long-term safeguards for protecting cultural heritage, and promote international access to cultural property for educational, scientific, and cultural purposes. At the meeting September 13, Foreign Minister El Otmani and Secretary Clinton emphasized their commitment to the special and longstanding relationship between the United States and Kingdom of Morocco, the first nation to recognize the independence of the United States in 1777. Each side looks forward to continuing consultations on the topics discussed in each working group. 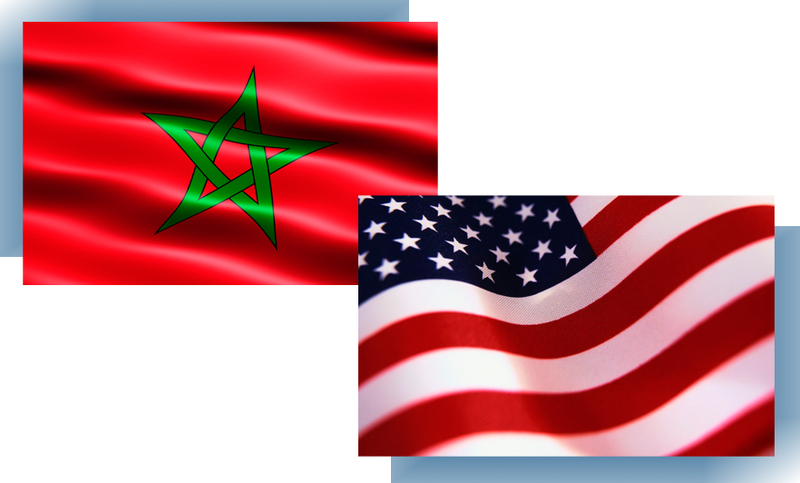 Both sides look forward to the next U.S.-Morocco Strategic Dialogue, which is to be hosted in Morocco in 2013. Click here for more answers to Frequently Asked Questions about the Morocco-US Strategic Dialogue. For additional information, go to Morocco-US Strategic Dialogue.